In the introduction to this series, I indicated that our focus would be upon four principles which relate in one way or another back to God as our heavenly Father and our supreme example for parenting. In the last three posts, I have discussed the first principle, the second principle, and the third principle. In this post I want to consider the fourth principle. Principle #4: Our heavenly Father teaches us the importance of a proper view of both a father's and a mother's role in the family. NKJ 1 Corinthians 11:3 But I want you to know that the head of every man is Christ, the head of woman is man, and the head of Christ is God. Such a role is also assumed by Paul when he discusses the qualifications for elders in the churches. For example, he teaches that an elder must be “one who rules his own house well, having his children in submission with all reverence (for if a man does not know how to rule his own house, how will he take care of the church of God? )” (1 Tim. 3:4-5). NKJ Proverbs 1:8 My son, hear the instruction of your father, and do not forsake the law of your mother …. NKJ Proverbs 6:20 My son, keep your father's command, and do not forsake the law of your mother. The teachings of King Lemuel's mother, which she apparently wrote in the form of two poems (the first in verses 2-9 and the second in verses 10-31), actually became a part of the inspired text of Scripture. Thus we must remember the crucial role that mothers play in the training of their children, a role which they must take up in submission to their husbands, but a role which is one of authority in the lives of their children nonetheless. Mothers are therefore every bit as crucial to the raising of children “in the training and admonition of the Lord” (Eph. 6:4) as are fathers. Both fathers and mothers must therefore heed the Biblical teaching about parenting, and they must work together as one in the rearing of their children before the Lord. Conclusion: We have considered at some length at least four primary principles from Scripture that are crucial in the parenting of our children. 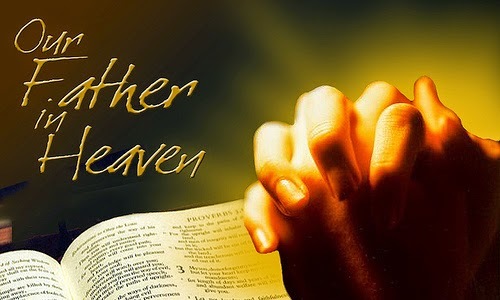 It is my prayer the the Lord will grant us by His grace the wisdom and patience to put them into practice consistently. In the introduction to this series, I indicated that our focus would be upon four principles which relate in one way or another back to God as our heavenly Father and our supreme example for parenting. In the last two posts, I have discussed the first principle and the second principle. In this post I want to consider the third principle. Principle #3: Our heavenly Father teaches us the importance of raising our children to know His Word. NKJ Deuteronomy 6:4-7 Hear, O Israel: The LORD our God, the LORD is one! 5 You shall love the LORD your God with all your heart, with all your soul, and with all your strength. 6 And these words which I command you today shall be in your heart. 7 You shall teach them diligently to your children, and shall talk of them when you sit in your house, when you walk by the way, when you lie down, and when you rise up. NKJ 2 Timothy 3:16-17 All Scripture is given by inspiration of God, and is profitable for doctrine, for reproof [ἐλεγμός, elegmós, noun related to the verb ἐλέγχω, elégchō, used in Heb. 12:5], for correction, for instruction [παιδεία, paideía, same word used in Eph. 6:4 and Heb. 12:5, 7, 8, and 11] in righteousness, 17 that the man of God may be complete, thoroughly equipped for every good work. This should not surprise us, for if we are to bring up our children in the training and admonition of the Lord, of course we must look to His Word, which has been given to us as the absolutely authoritative and all-sufficient source for this training and admonition. It is His Word that will make us thoroughly equipped for the good work of parenting, and it is His Word that we must teach our children if we are to have any hope that they will come to faith in Christ and embrace our heavenly Father as their own. You cannot make your children love the Bible, I allow. None but the Holy Spirit can give us a heart to delight in the Word. But you can make your children acquainted with the Bible; and be sure they cannot be acquainted with that blessed book too soon, or too well. A thorough knowledge of the Bible is the foundation of all clear views of religion. He that is well-grounded in it will not generally be found a waverer, and carried about by every wind of new doctrine. Any system of training which does not make a knowledge of Scripture the first thing is unsafe and unsound. In my view, parents who send their children to public schools – or even to many private Christian schools – will have a much more difficult time instructing their children in the Word of God, for they will have to combat the constant undermining influence of the worldly thinking their children are encountering in a much deeper way. This does not mean, of course, that it is necessarily wrong for parents to send their children to such schools, but it does mean that they should do so only if they are fully aware of the increased spiritual warfare and temptation to which they are submitting them, and only if they are able to combat such things and are committed to doing so. At any rate, we must never forget the supreme importance of the Scriptures in raising our children for the glory of God. Stay tuned for the next post in the series, in which I shall discuss Principle #4. Note: Since this series was originally my teaching notes, they contain Hebrew and Greek words in many of the texts cited. I do this for my own benefit, so that I can see linguistic connections in the text, and Jeff liked it, so I decided to keep the words with transliterations following each one. I hope this will not be too distracting, especially for those who have no familiarity with the languages. In the introduction to this series, I indicated that our focus would be upon four principles which relate in one way or another back to God as our heavenly Father and our supreme example for parenting. In the last post, I discussed the first principle, and in this post I want to consider the second principle. Principle #2: Our heavenly Father teaches us the importance of the loving discipline of our children. NKJ Hebrews 12:1-11 Therefore we also, since we are surrounded by so great a cloud of witnesses, let us lay aside every weight, and the sin which so easily ensnares us, and let us run with endurance the race that is set before us, 2 looking unto Jesus, the author and finisher of our faith, who for the joy that was set before Him endured the cross, despising the shame, and has sat down at the right hand of the throne of God. 3 For consider Him who endured such hostility from sinners against Himself, lest you become weary and discouraged in your souls. 4 You have not yet resisted to bloodshed, striving against sin. 5 And you have forgotten the exhortation which speaks to you as to sons: “My son, do not despise the chastening [παιδεία, paideía] of the LORD, nor be discouraged when you are rebuked [ἐλέγχω, elégchō] by Him; 6 for whom the LORD loves He chastens [παιδεύω, paideúō] and scourges [μαστιγόω, mastigóō] every son whom He receives.” [LXX text of Prov. 3:11-12] 7 If you endure chastening [παιδεία, paideía] God deals with you as with sons; for what son is there whom a father does not chasten? 8 But if you are without chastening [παιδεία, paideía] of which all have become partakers, then you are illegitimate and not sons. 9 Furthermore, we have had human fathers who corrected [Masc. Acc. Pl. > παιδευτής, paideutḗs] us, and we paid them respect. Shall we not much more readily be in subjection to the Father of spirits and live? 10 For they indeed for a few days chastened us as seemed best to them, but He for our profit, that we may be partakers of His holiness. 11 Now no chastening [παιδεία, paideía] seems to be joyful for the present, but painful; nevertheless, afterward it yields the peaceable fruit of righteousness to those who have been trained by it. NKJ Proverbs 13:24 He who spares his rod [שֵׁ֫בֶט, shēḇeṭ, or staff] hates his son, but he who loves him disciplines [noun מוּסָר, mûsār; the LXX has Greek verb παιδεύω, paideúō] him promptly [שָׁחַר, shāḥar, literally to seek early]. NKJ Proverbs 22:15 Foolishness is bound up in the heart of a child [נַ֫עַר, na‛ar]; the rod [שֵׁ֫בֶט, shēḇeṭ] of correction [מוּסָר, mûsār; LXX has the Greek noun παιδεία, paideía] will drive it far from him. NKJ Proverbs 10:13 Wisdom is found on the lips of him who has understanding, but a rod [שֵׁ֫בֶט, shēḇeṭ] is for the back of him who is devoid of understanding. NKJ Proverbs 26:3 A whip for the horse, a bridle for the donkey, and a rod [שֵׁ֫בֶט, shēḇeṭ] for the fool's back. NKJ Proverbs 23:13-14 Do not withhold correction [מוּסָר, mûsār] from a child [נַ֫עַר, na‛ar] for if you beat [נָכָה, nāḵāh, strike] him with a rod [שֵׁ֫בֶט, shēḇeṭ], he will not die. 14 You shall beat [נָכָה, nāḵāh] him with a rod [שֵׁ֫בֶט, shēḇeṭ], and deliver his soul from hell. By their nature and form, proverbs are generalized statements that cover the widest number of instances, but in no case are they to be taken as a set of unbending rules that must be applied in every case without exception (An Introduction to Biblical Hermeneutics, pp. 99-100). NKJ Proverbs 22:6 Train up [חֲנֹךְ, ḥānaḵ] a child [נַ֫עַר, na‛ar] in the way he should go, and when he is old he will not depart from it. Although many believing parents are tempted to see this as an iron-clad promise, they really should be cautioned not to do so, given the nature of most proverbs. Thus we have stated here what parents may commonly expect to happen given a faithful application of the principle enjoined, but we are not given a guarantee that this will always be the outcome. ESV Proverbs 23:14 If you strike him with the rod [שֵׁ֫בֶט, shēḇeṭ], you will save his soul from Sheol. However, we must also consider the way that each of these proverbs is presented to us. So, for example, as we have seen in our study thus far, when the author of Hebrews cited the LXX translation of Proverbs 3:11-12, he assumed that the Lord Himself is an example of a Father who spanks every child whom He receives and that He does so because He loves His children. We have also found Solomon asserting that we will discipline our children if we love them, that such discipline includes the use of the rod of correction, and that withholding the rod means we don't really love them (Prov. 13:24). He certainly doesn't appear to consider the possibility that there will be any children who will not need such discipline at some point in their lives, although he does consider the possibility that there will be parents who will want to deny or avoid such discipline even when it is necessary. In this regard he anticipates the objections of many modern parents who try to explain away the Biblical teaching on this subject. Here is the question: What specifically in the contexts of these passages gives indication that the language is intended as non-literal? How does one “strike” a person with a metaphorical rod? Why would a person be afraid of “striking” a person with a metaphorical rod for fear of killing him? (“Oh my goodness! I am afraid that if I give general parental structure and guidance—nonphysical, of course—that my child might just fall down dead. Oh My! I am not so sure I want to parent with a metaphorical rod…”) I don’t mean to be glib—of course this is a serious topic, and certainly no laughing matter. Especially in recent months attention has been drawn to child abuse cases in which parents who were claiming to discipline their children actually harmed them to the point of death. That is despicable child abuse. This is something that does not result in death. This is something that never harms a child. This is something that offers the child freedom from foolishness. NKJ Proverbs 29:15 The rod [שֵׁ֫בֶט, shēḇeṭ] and rebuke give wisdom, but a child [נַ֫עַר, na‛ar] left [Pual > שָׁלַח, shālaḥ, sent off or set loose, here meaning unrestrained] to himself brings shame to his mother. NKJ Proverbs 1:7 The fear of the LORD is the beginning of knowledge, but fools despise wisdom and instruction. NKJ Proverbs 9:10 The fear of the LORD is the beginning of wisdom, and the knowledge of the Holy One is understanding. Parents, do you wish to see your children happy? Take care, then, that you train them to obey when they are spoken to – to do as they are bid. Believe me, we are not made for entire independence – we are not fit for it. Even Christ's freemen have a yoke to wear, they “serve the Lord Christ” (Col. iii. 24). Children cannot learn too soon that this is a world in which we are not all intended to rule, and that we are never in our right place until we know how to obey our betters. Teach them to obey while young, or else they will be fretting against God all their lives long, and wear themselves out with the vain idea of being independent of His control. Reader, this hint is only too much needed. You will see many in this day who allow their children to choose and think for themselves long before they are able, and even make excuses for their disobedience, as if it were a thing not to be blamed. To my eyes, a parent always yielding, and a child always having its own way, are a most painful sight; painful, because I see God's appointed order of things inverted and turned upside down; painful, because I feel sure the consequence to that child's character in the end will be self-will, pride, and self-conceit. You must not wonder that men refuse to obey their Father which is in heaven, if you allow them, when children, to disobey their father who is upon earth. Notice what Paul tells fathers not to do. 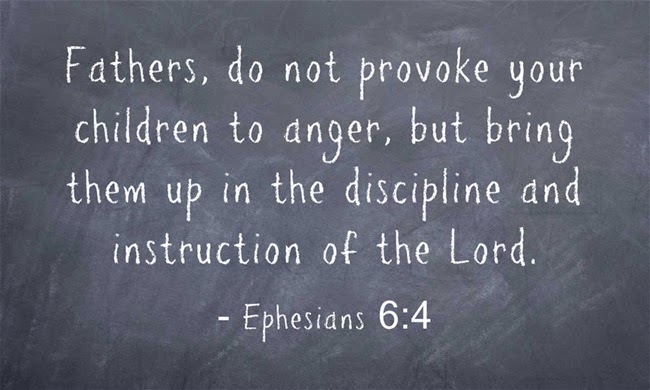 He tells us not to provoke our children to wrath (or anger). And by this he refers to ways in which parents can sinfully provoke their children to anger. He does not mean that, whenever our child demonstrates anger, we must have sinned as parents. Children can become sinfully angry with no help from us. So, if one of your children throws a fit just because he didn't get what he wanted, you certainly aren't guilty of having exasperated him. In that case, he was self-exasperated, you might say. However, if your child seems to be angry often, it behooves you to at least consider the possibility that you may be sinfully provoking this anger in some way. And, if you are, then after confessing it to God, you need to confess it to your child as sin and seek his forgiveness. NAU Colossians 3:21 Fathers, do not exasperate your children, so that they will not lose heart. Paul has in mind the ways in which parents can anger or exasperate their children to the point that they become discouraged. This describes a situation in which children feel that, no matter what they do, they will never be able to please their parents, so they just give up trying. So, a tell-tale sign that a parent has sinfully provoked his or her child to anger is that the child is also very discouraged in this way. 1) Making promises to them that we don't keep. 2) Lying to them, trying to make them think things are other or better than they really are (as in the aforementioned song). 3) Being hyper-critical and giving them the impression that no matter what they do, it will never be good enough. 4) Being hypocritical and expecting one standard in public (or at church) and another at home. 5) Expecting things of them that they cannot possibly achieve. e.g. We must not expect little children to show maturity beyond their years. 6) Refusing to let our children grow up and take on more responsibility. 7) Showing favoritism to one child over another. Remember, though, that children will often feel that they have been treated unfairly even though they haven't been. But a child doesn't know what really is fair in every situation, so you cannot allow your child to determine this. The important thing is that you be fair and know that – as your child grows up – he or she will come to understand that you have been fair. Also remember that treating your children fairly does not necessarily mean treating them all the same way. Children are different, and it is very often unfair to treat them the same way. For example, when my daughter, Sarah, got her driver's license, she already knew that she would not get the same driving privileges that my son, Joshua, had when he first got his driver's license. This was not because I thought she would be a less responsible or a less capable driver, but simply because she is a girl and he is a guy, and I would not let my 16 or 17 year old daughter drive places at night the way I allowed my 16 or 17 year old son to do. It simply isn't as safe for a girl that age to be driving at night as it is for a guy. It would have been unfair, though, to Joshua if I had curtailed his driving privileges in order to treat him the same way as his sister. And it would have been unfair to Sarah if I took greater risks with her safety in order to treat her the same way as Joshua. 9) Neglecting our children and making them feel as though we don't love them. 10) Failing to offer them the encouragement they need. e.g. A parent may work hard to avoid being hyper-critical of their children, but may still provoke them by holding back encouragement or praise when warranted. Both approaches can end up in the same place – with an exasperated child who is discouraged and thinks he will never measure up to his parents expectations or demands. 11) Punishing them too harshly out of anger. As D. Martin Lloyd-Jones once observed, “When you are disciplining a child, you should have first controlled yourself … What right have you to say to your child that he needs discipline when you obviously need it yourself? Self-control, the control of temper, is an essential prerequisite in the control of others” (As cited by John Stott, The Message of Ephesians, p.249). NKJ Romans 5:8-9 But God demonstrates His own love toward us, in that while we were still sinners, Christ died for us. 9 Much more then, having now been justified by His blood, we shall be saved from wrath through Him. NKJ 1 Thessalonians 1:8-10 For from you the word of the Lord has sounded forth, not only in Macedonia and Achaia, but also in every place. Your faith toward God has gone out, so that we do not need to say anything. 9 For they themselves declare concerning us what manner of entry we had to you, and how you turned to God from idols to serve the living and true God, 10 and to wait for His Son from heaven, whom He raised from the dead, even Jesus who delivers us from the wrath to come. NKJ 1 Thessalonians 5:8-9 But let us who are of the day be sober, putting on the breastplate of faith and love, and as a helmet the hope of salvation. 9 For God did not appoint us to wrath, but to obtain salvation through our Lord Jesus Christ …. Thus God's discipline of His adopted children in Christ is not an expression of wrath toward them but rather of love that seeks their good. Indeed, even the Lord Jesus Himself – who is God's only unique Son by nature rather than by adoption – “learned obedience by the things which He suffered” (Heb. 5:8), and such suffering was most definitely not an expression of the Father's wrath toward Him, for Jesus never sinned and thus never incurred the Father's wrath in any sense (see Heb. 2:17-18 and 4:15-16 and recall that as our propitiation Jesus took upon Himself the wrath due our sins). Thus we must seek to emulate our heavenly Father in this respect as well, and our discipline must not be seen by our children as an exhibition of wrath. Rather we must avoid disciplining them in anger and instead seek to show them that we are disciplining them out of love and for their good. For some parents, this means that they must take some time to cool down before they administer discipline to their children. For, even though discipline should be prompt, it should also be an expression of loving concern rather than the venting of a parent’s anger. Indeed, I would say, for example, that spanking done in anger is actually violence rather than discipline. For what it's worth, when I had to discipline my children by spanking them when they were little, I tried never to do so when I was angry. I tried always to do so in a calm and loving way that tempered the punishment with mercy. So, for example, I would commonly explain to them that I had to spank them because I loved them and wanted them to learn obedience to the Lord. And frequently I would take part of the punishment on myself. So, for example, if Joshua had to be spanked, I would explain that I felt that he deserved a certain number of swats for what he had done – say, e.g., four – but when it came time to administer the final swat I would often then exclaim, “You know what, I think I'll take the last one for you.” And then I would swat my own behind as hard as I could. This would typically start Joshua laughing, but it also showed him mercy, as well as the concept of substitution that is so central to our idea of the atonement. I did this so that, as he got older, I could also explain substitutionary atonement more easily. It also turned these times into something we shared in an even deeper way and helped to reinforce that what was happening was a good thing. At any rate, to bring up our children “in the training and admonition of the Lord” certainly means that we will follow the example of our heavenly Father in these ways, but it also means that we will bring them up in accordance with His Word. After all, it is in His Word that we find our Lord's instruction both for us and for our children. This, then, will be the focus of our next principle. Stay tuned for the next post in the series, in which I shall discuss Principle #3. In the introduction to this series, I indicated that our focus would be upon four principles which relate in one way or another back to God as our heavenly Father and our supreme example for parenting. In this post I want to consider the first of these principles. 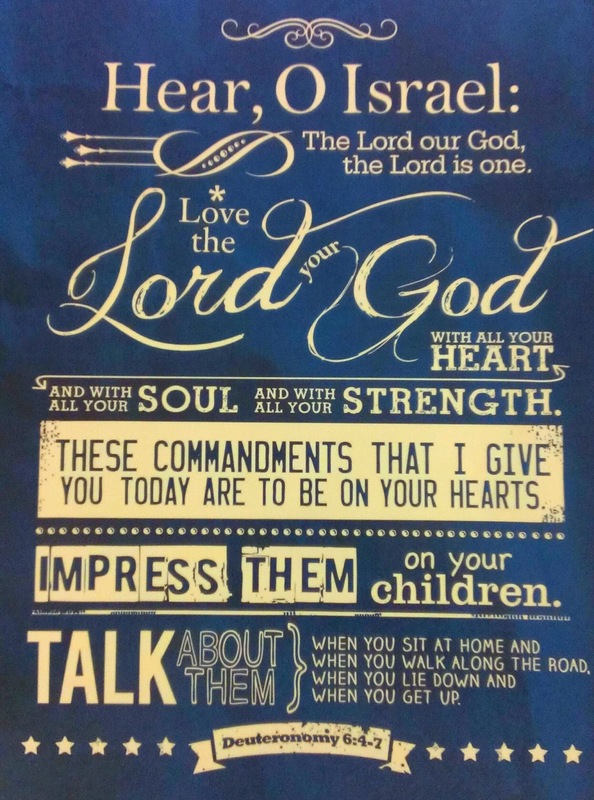 Principle #1: Our heavenly Father teaches us the importance of communicating to our children that we love them and that they are special to us. NKJ Ephesians 1:3-6 Blessed be the God and Father of our Lord Jesus Christ, who has blessed us with every spiritual blessing in the heavenly places in Christ, 4 just as He chose us in Him before the foundation of the world, that we should be holy and without blame before Him in love, 5 having predestined us to adoption as sons by Jesus Christ to Himself, according to the good pleasure of His will, 6 to the praise of the glory of His grace, by which He has made us accepted in the Beloved. 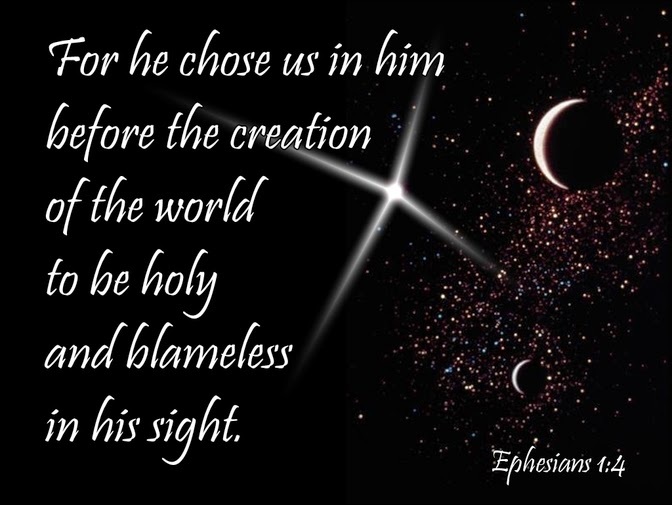 We see how important it is to our heavenly Father to let us know that He has chosen us and that we are special to Him, even though we do not deserve it. This taught me a very important lesson as a young father, and I sought to let my children know how special they were to me as they grew up. In fact, from the time they were very little, I would often say to them, “If I could choose from all the children in the whole world to be my children, I would choose you!” I would regularly tell them, “I am so glad you are my son!” Or “I am so glad you are my daughter!” And I would regularly tell them how much I loved them, just as my heavenly Father has told me in so many ways that He loves me. NKJ Romans 5:8 But God demonstrates His own love toward us, in that while we were still sinners, Christ died for us. So, just as our heavenly Father demonstrated His love for us by giving His Son Jesus for our sins, even so we must demonstrate our love to our children. And just as our heavenly Father's love for us is unconditional, even so we must demonstrate an unconditional love for our children through forgiveness, patience, and loving discipline. And, although we shall deal more with the issue of discipline below, for now we must see that our children need to know that we desire their obedience because we love them. They must never be led to think that they must obey in order for us to love them. They must always see the tender mercy of our heavenly Father reflected in our love for them. NKJ Romans 8:38-39 For I am persuaded that neither death nor life, nor angels nor principalities nor powers, nor things present nor things to come, 39 nor height nor depth, nor any other created thing, shall be able to separate us from the love of God which is in Christ Jesus our Lord. NKJ 1 John 3:1 Behold what manner of love the Father has bestowed on us, that we should be called children of God! Therefore the world does not know us, because it did not know Him. NKJ 1 John 4:9-10 In this the love of God was manifested toward us, that God has sent His only begotten Son into the world, that we might live through Him. 10 In this is love, not that we loved God, but that He loved us and sent His Son to be the propitiation for our sins. NKJ 1 John 4:16-19 And we have known and believed the love that God has for us. God is love, and he who abides in love abides in God, and God in him. 17 Love has been perfected among us in this: that we may have boldness in the day of judgment; because as He is, so are we in this world. 18 There is no fear in love; but perfect love casts out fear, because fear involves torment. But he who fears has not been made perfect in love. 19 We love Him because He first loved us. Just as our heavenly Father has in His love for us removed all fear of His wrath and judgment toward us, even so we must show our children that they need not fear ever losing our love. Thus we have seen examples of some of the ways in which our heavenly Father communicates His love for us. And in these passages we have seen not only that our heavenly Father tells us that He loves us, but also that He demonstrates His love for us through His actions. And this too is a crucial lesson for fathers. Just as our heavenly Father not only tells us He loves us, but also shows His love by giving His one and only Son for us, so also we must demonstrate our love for our children through our actions as well as our words. Such actions will be the primary focus of the remaining principles we shall examine. Stay tuned for the next post in the series, in which I shall discuss Principle #2. The Bible doesn't give us a parenting manual – a specific list of “how to's” for most any conceivable situation – but it does give us a number of important principles to apply in parenting our children, and, in order to adequately set forth these principles, I can think of no better place to begin that with the fact that God has revealed Himself to us as a Father. This means that we will discover the ideal of fatherhood expressed in His person both in relationship to Jesus, who is God's Son by nature, and in relationship to those of us who believe and are thus God's sons by adoption. NKJ Matthew 5:44-45 But I say to you, love your enemies, bless those who curse you, do good to those who hate you, and pray for those who spitefully use you and persecute you, 45 that you may be sons of your Father in heaven; for He makes His sun rise on the evil and on the good, and sends rain on the just and on the unjust. NKJ Matthew 7:9-11 Or what man is there among you who, if his son asks for bread, will give him a stone? 10 Or if he asks for a fish, will he give him a serpent? 11 If you then, being evil, know how to give good gifts to your children, how much more will your Father who is in heaven give good things to those who ask Him! The Bible tells us that God has an elect people, a family in this world. All poor sinners who have been convinced of sin, and fled to Jesus for peace, make up that family. All of us who really believe on Christ for salvation are its members. Now God the Father is ever training the members of this family for their everlasting abode with Him in heaven. He acts as a husbandman pruning his vines, that they may bear more fruit. He knows the character of each of us, our besetting sins, our weaknesses, our peculiar infirmities, our special needs. He knows our works and where we dwell, who are our companions in life, and what are our trials, what our temptations, and what are our privileges. He knows all these things, and is ever ordering all for our good. He allots to each of us, in His providence, the very things we need, in order to bear the most fruit—as much of sunshine as we can stand, and as much of rain, as much of bitter things as we can bear, and as much of sweet. Reader, if you would train your children wisely, mark well how God the Father trains His. He does all things well; the plan which He adopts must be right. First, our heavenly Father teaches us the importance of letting our children know that we love them and that they are special to us. Second, our heavenly Father teaches us the importance of the loving discipline of our children. Third, our heavenly Father teaches us the importance of raising our children to know His Word. Fourth, our heavenly Father teaches us the importance of a proper view of both a father's and a mother's role in the family. Looking to the parent-child relationship is a misdirected attempt to understand covenantal membership. Redirecting our attention to federal headship brings clarity and scriptural precision to the issue. We blame Adam, not our parents, for the curse. The Israelites looked to Abraham, not their parents, for a claim to Canaan and its blessings, and to the conduct of the king, not their parents, for tenure in the land. So also, children must look to Christ, not their parents, for a claim to his covenant. Consequently, there has never been a covenant wherein “believers and their children” constituted the paradigm for covenant membership. The promise (salvation in general, and the indwelling of the Spirit in particular) is proffered to them, just as it is to the whole world (Acts 2:16-41). We are born under Adam’s federal headship, and no one escapes the domain of darkness until God transfers them “to the kingdom of the beloved Son, in whom we have redemption, the forgiveness of sins” (Colossians 1:12-14). I highly recommend his article as one of the best brief summaries that I have read of how Reformed Baptist Covenant Theology underpins Credobaptism. 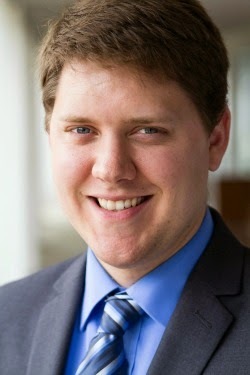 In addition, I would also recommend his excellent paper written jointly with Micah Renihan entitled Reformed Baptist Covenant Theology and Biblical Theology. I have three simple questions relating to worship, though admittedly they may not have simple answers. 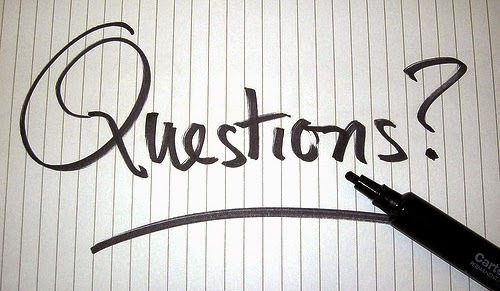 I will begin by asking my first two questions, which are very similar, and will close by asking a third question. 1. 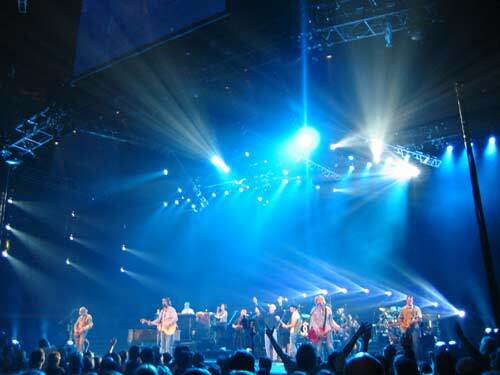 What role should the atmosphere (energy level) of a worship service have in evoking emotions? 2. To what degree should worship leaders seek to create an emotional atmosphere? Lets be clear of what I am not asking. I am not asking if emotions are a part of worship. Most definitely they are. Without emotions, we cannot worship. I am not asking if emotions should be a response to the Word. For it is impossible to worship in Spirit and in truth without our emotions flowing from and being rooted in a clear presentation of Biblical doctrine. Because worship is a response to divine revelation, sound doctrine and gospel centered lyrics are vital in worship. I am not asking if we should judge the emotional authenticity of worshipers. It is evident from thousands of lost souls that raise their hands and lose themselves in worship services each week at Lakewood Church in Houston that not all who love to worship are true worshipers. Because worship is a part of the human condition, loving to worship and being overwhelmed with emotions proves nothing about our faith in Christ. Even so, I am not asking how we discern authentic worship form synthetic worship. Because all emotions, when felt, are real for those who experience them, I don’t assume that the lady dancing with the music in the corner of the sanctuary is faking. I am not asking which is better – traditional worship or contemporary worship. I am not asking you to make a judgment call upon which worship style is best. This is an important question with many variables, but I will let someone else ask that question. More precisely, I am not even asking if we should desire an emotional response from congregational worship. As a pastor, I want our people to have a worshipful experience. At GBC, we purposefully handle our announcements before our Call of Worship for many reasons, but one of them is to not interrupt the natural flow of the service. It does not make sense to break away from worship after we have become emotionally engaged. In fact, the Call to Worship is designed to turn our thoughts and hearts away from the secular and point us towards the Lord. We desire the congregation to actively participate in listening to the sermon and to the prayers, and being active and vocal in singing God’s praises. Emotions (such as reverence, humility, love, joy, and thankfulness) are a vital part of worship. My questions have nothing to do with the value and importance of emotions in worship. My questions are very narrow in scope. What role should the worship style play in creating an emotional experience for worshipers and should the church have a target emotional atmosphere for their services? As you consider how to answer these questions, here are a few things to consider. At least these things are running through my mind as I think about these questions. It seems evident enough that the atmosphere and energy level of a worship service play a part in the level and types of emotions that are evoked within the congregation. For instance, those unfamiliar with a traditional Lutheran service may think their service is void of emotions. Because there is little room for any free and spontaneous elements, with even their prayers being prewritten and scripted, the tendency is to think that Lutheran worship is robotic, dry, and dead. But this may not be the case at all. The Alter is fenced off as if the church is protecting something that is extremely sacred; the priest slowly and carefully conducts the service with such precision as if he is treading on holy ground. Even the motion of his hands has sacred implications. A sense of seriousness and weightiness seems to fill the room. Though this is not an environment conducive for clapping, raising hands, and dancing, it does not mean that the congregation is not worshiping God. A deep sense of God’s holiness and a feeling of awe and reverence may be overwhelming the hearts of congregants. On the other end of the spectrum, we have worship services that resemble a multisensory concert. Rather than a solemn and reverent atmosphere, there is the feeling of excitement, freedom, and joy. There is energy – lots of it – in the air. Those leading worship are not moving slowly with calculated precision as in the Lutheran service, they are full of excitement and their movements are more spontaneous. Rather than a priest full of years and maturity conducting the service, the stage is full of young life and vitality. 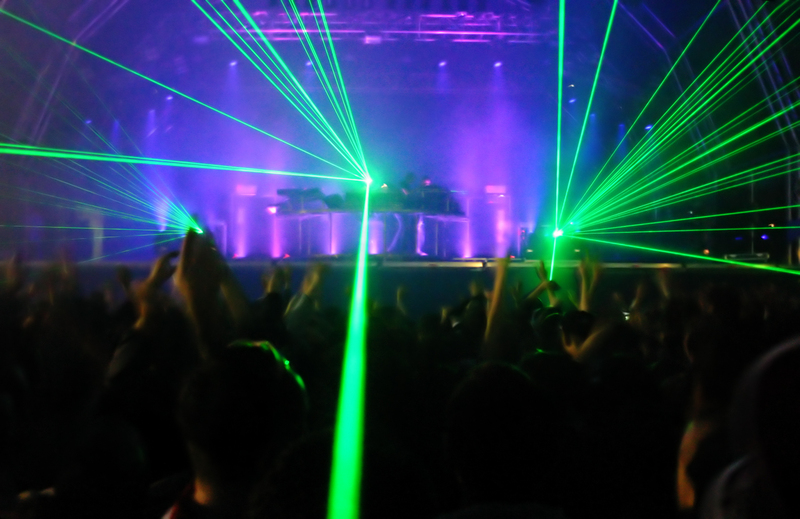 Stage lights are flashing rapidly, smoke is rising in the air, the beat of the music is building momentum, and the band is becoming increasingly animated. This atmosphere would naturally provoke a different type of feeling and even a more intense level of emotions. Passionate music, a strong beat, stage lighting, and the high energy level seems to create a highly intense atmosphere that provokes a different type of an emotional response than which is experienced in the Lutheran service. Those who worship in this environment may be swept up with a joy that is unspeakable as they feel deeply moved with much passion and energy to praise the Lord. People are like sheep – especially in large group settings. Our emotions are easily influenced, directed, and even manipulated. The environment, atmosphere, and ambiance are powerful influences upon our emotions. Music alone can move us like a boat adrift at sea. We feed off one another’s emotions. I don’t know if any of us understand the exact relationship between our physical senses and our emotions, but there is most defiantly is a link between our environment and how we feel. Though it is impossible for our emotions not to be influenced by the tempo of the music, the style and order of the worship, and the overall atmosphere of the service, how much should our emotions be influenced by these factors and how much should they be influenced by the truth of the gospel? Not that the answer can be neatly measured, but how much attention should be given to choreographing the emotional atmosphere of a worship service? Is there a target atmosphere that worship leaders should seek to create? To what degree should the atmosphere influence our emotional experiences in worship? Knowing that the manner in which we structure our services (from the song selections and arrangement of the music to the lighting of the sanctuary) will have an impact upon our emotions, how should this knowledge affect the way we conduct and structure our congregational worship? 3. My last question is, are these even relevant questions? I would love to hear your thoughts on the subject, but only if you are able speak about this heated subject without getting too emotional.